Our web site currently uses Paypal or Ogone e-Commerce solution which are fully recognised by the financial industry’s top players. It is designed to allow e-shoppers to pay in an ergonomic, user-friendly environment, while simultaneously ensuring the highest possible levels of security and privacy. It is important to understand that we do not store credit card details nor do we share customer details with any 3rd parties. Paypal or Ogone e-Commerce payment solution are used by several thousand online commerce sites. 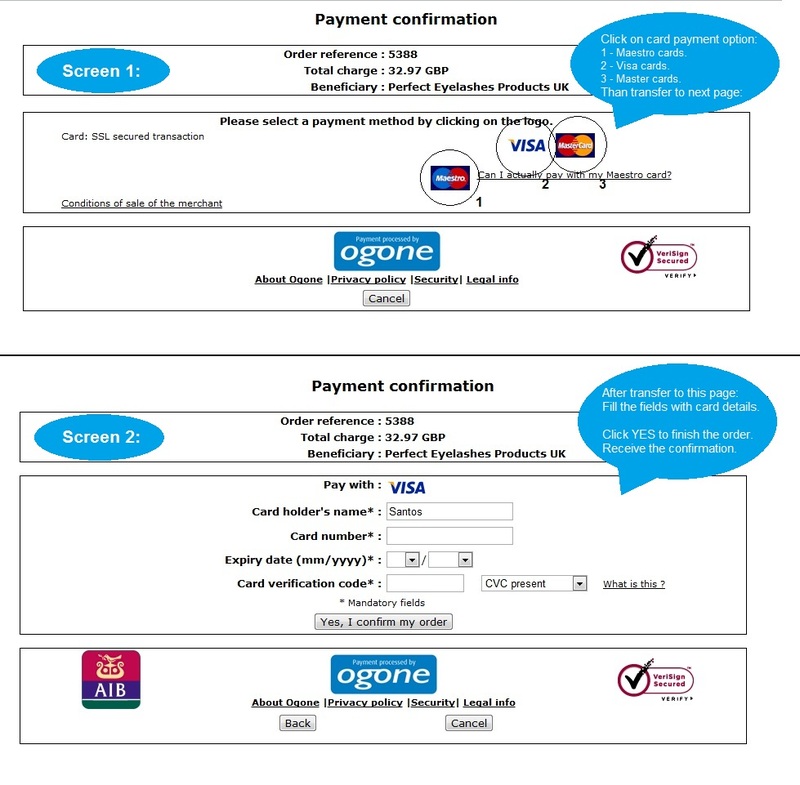 These sites can be recognised by the Paypal or Ogone logo and the words "Secure payments by Paypal" or "Payment Processed by Ogone", both of which will appear on the payment pages. ✔ Fraud Prevention and Security Module SSL Certificate. ✔ Payer Authentication (Anti-Fraud management). ✔ IP, Adress and Phone verification. (Real Time). ✔ 3D Security Module supported by all major cards. (Visa, Master Card, Maestro). Paypal or Ogone payments gives you full protection in every online transaction, with the Fraud Prevention monitor, Ogone process all transactions verification (IP , Address, Card 3D verification and much more, all in real-time authentication, therefore reducing to 0% the risk of online fraud. Screen 1: To select the card payment you preffer (Maestro, Visa or Master Card). Screen 2: Fill you card details to complete your order, click YES, and finish the order. Ogone now activated and is fully working and compatible with our web store.